With each type of vehicle, one has to focus on certain features and for sports cars the most important features are the engine, driving features, tech, safety and sometimes, interior. Sports cars are all about performance and the 2018 Chevrolet definitely delivers. It’s engine, tech features safety, exterior and interior make it an extremely appealing sports car. With four different models and four different engines available, there is plenty of variety for you to choose from. The overall performance of this sports car is better than all of its competition and we encourage you to head to Mike Anderson Merrillville and buy your own model. 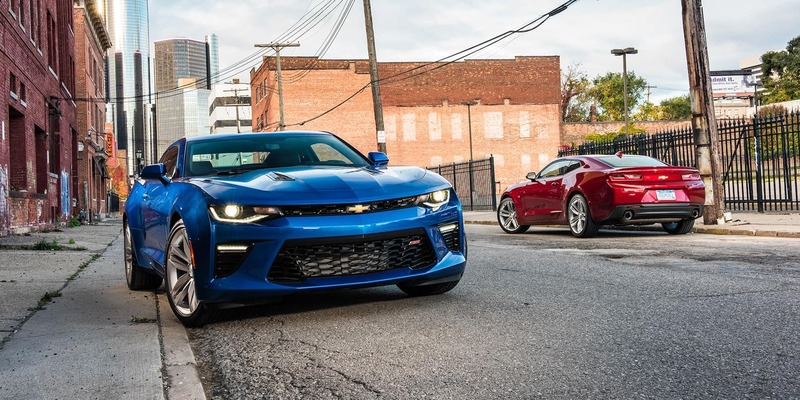 To highlight the superior technology and features of the Camaro, we have compared it to one of its closest competitors, the 2018 Dodge Challenger. Please have a look at 2018 Chevrolet Camaro VS 2018 Challenger. The 2018 Chevrolet Camaro despite being a sports car has a lot of the latest tech features. Some of the latest tech, such as the 4G hotspot, heads-up display, power seats with memory package, Apple carplay, Android auto, Bose audio system, heated steering wheel, wireless phone charging to name a few, are available in the Camaro. On the other hand, the tech features of the 2018 are quite simple with only navigation, a satellite radio and hands-free calling being the most exciting of this vehicle. Apart from the excellent fuel economy, 0-60 timing, great horsepower, and torque, the Camaro has many other driving features. The magnetic ride control tech allows you speed your sports car as much as you want while remaining in control of it. The 10-speed paddle shift automatic, eLSD with a performance traction management system, Brembo brakes the StabiliTrak system help you perform your best while retaining the stability and safety of your car. On the other hand, the other vehicle doesn’t even offer a 10-speed paddle shift or the eLSD with a performance traction management system. Other than the standard safety features, there are still more features that the 2018 Chevrolet Camaro offers. In addition to the standard 8 airbags, this vehicle also has a driver and front passenger knee airbags. Other safety features that are present are Lane Change Alert with side blind zone alert, rear cross traffic alert, cruise control, rear vision camera and rear park assist. The 2018 Challenger does offer a few of these features but what it does not have is the OnStar safety technology of the Camaro. The OnStar safety tech has state-of-art tech that ensures that you remain secure despite the circumstances. Some of the tech features in the OnStar system are crisis assist, roadside assistance, emergency services, stolen vehicle assistance and hands-free calling. This technology enables you to receive help in every situation, making it one of the safest vehicles in our inventory. 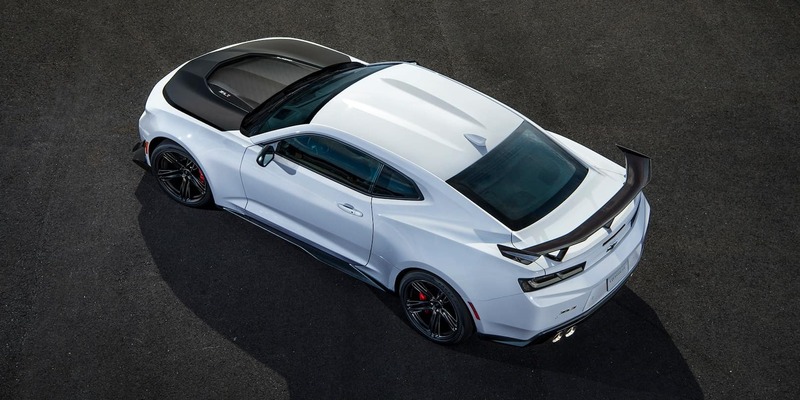 The 2018 Chevrolet Camaro has multiple engines available; namely the 2.0L Turbo, the 3.6L V6, 6.2L LT1 V8 and the 6.2L LT4 V8; each of which guarantee speed, fuel economy, and powerful movement. They have great 0-60 timing, horsepower, and torque. The 2.0L Turbo engine puts out up to 275 horsepower and 295 lb.-ft torque. With a 0-60 in 5.4 second and a highway mileage of 31 mpg, it soundly beats the highway mileage of the Challenger’s 3.6L V6 engine (Pentastar) that gives a 31 mpg highway mileage. Even if you compare the 0-60 timing of the most powerful engines of both companies; the V8 SuperCharged 6.4L engine (HEMI SRT Hellcat) of the 2018 Challenger and the 6.2L LT4 V8 of the Camaro, the latter is much better. The Camaro engine gives 0-60 in 3.5 seconds flat while the Challenger takes 3.9 seconds, that being a massive difference for a sports car. The classy interior of the 2018 Chevrolet Camaro is a vision. With ventilated as well as heated seats, automatic climate control, a Chevrolet MyLink 7 inch touchscreen display, speakers, leather-wrapped heated steering wheel, compass display and driver information center, the Camaro can be compared to luxury vehicles. In comparison, the interior of the 2018 Dodge Challenger looks quite old-fashioned. It does have fewer features as compared to the Camaro and lacks the same eye-catching modern looks of the other sports car. For us, the overall winner of the 2018 Chevrolet Camaro VS Challenger is definitely the Camaro.